Michelin has acquired all shares of Fenner PLC, a global leader in conveyor belts and reinforced polymer-based products. This year’s new edition in Montreal from May 30th to June 1st is an international event with Michelin as its global partner. It is an opportunity for the Group to reaffirm its commitment to clean and sustainable mobility for everyone. Michelin and Camso join forces to create the leader in off-the-road (OTR) mobility solutions. The result of a genuine strategic partnership in the OTR segment, the new division will be managed from Quebec, Canada. Sustainable mobility at the heart of Michelin Group’s strategy. The long-lasting winter tire for passenger cars. The MICHELIN Man is named « Icon of the Millenium » for his 120th birthday. Compagnie Générale des Etablissements Michelin (hereinafter, the “Company”) announces the launch of a new employee share ownership plan enabling employees of the Michelin group to subscribe to a capital increase reserved to employees on preferential terms. Michelin acquires Truckfly, an application that includes the most comprehensive list of Points of Interest for truck drivers. 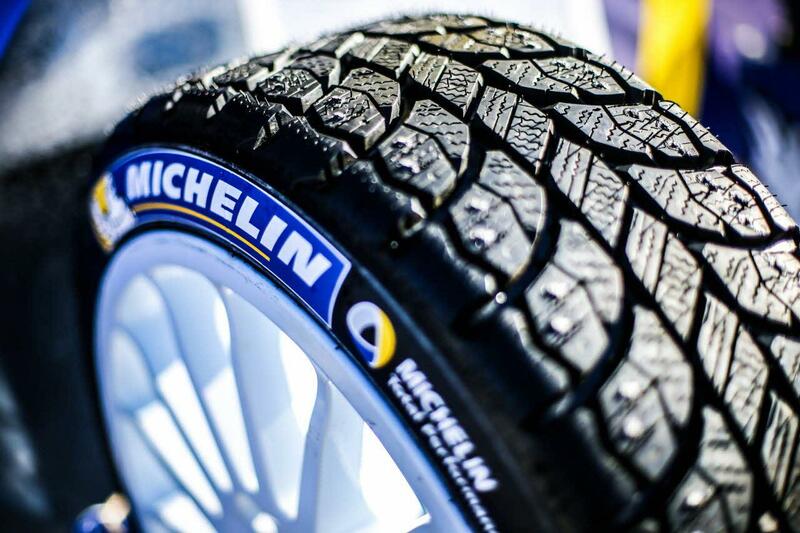 Michelin has successfully placed today a three-tranche bond offering for a total amount of €2.5 billion, with 7-year, 12-year and 20-year maturities respectively. The high-performance tire for piston and turboprop aircraft. Total and Michelin, leading players in global mobility, are launching a major road safety education program for 10-18 year-olds via their corporate foundations. This year at VivaTech, Michelin is sponsoring the TechCrunch Startup Battlefield Europe, a competition broadcast live on the TechCrunch website with the aim of identifying the best European start-ups at an early stage of their development. By winning the Gran Premio Red Bull de España 2018, Marc Márquez (Repsol Honda Team) offered Michelin its 400th victory in the MotoGP™. A spotlight on the first connected tire offer on the market designed to enhance your driving experience on the track. CFAO and Michelin announce today the conclusion of an agreement for the import and distribution of premium quality tires in Kenya and Uganda, in a joint venture owned 51% by CFAO and 49% by Michelin. See the photo exhibition held in Sao Paulo and Rio de Janeiro, Brazil, for the 15th anniversary of our Ouro Verde Bahia (Green Gold Bahia) program, the flagship initiative of our global sustainable development policy. Michelin is extending its award winning MICHELIN CrossClimate range into light truck and van with the launch of MICHELIN Agilis CrossClimate tire, a summer tire with a complete winter capability. Providing improved traction, handling and stability on wet and dry ground is the promise of the new MICHELIN Pilot Road 5, the latest high-tech Sport Touring motorcycle tire from Michelin. Michelin has joined forces with Mobivia, the European leader in multi-brand car repairs and parts, by taking on a 20% capital stake in its A.T.U. stores in Germany, Switzerland and Austria. Michelin has successfully invested USD 600 million in non-dilutive convertible bonds that are redeemable only in cash in 2023. Find out more about the succession plan for Mr. Jean-Dominique Senard, whose mandate as CEO will end following the 2019 General Assembly. Michelin and Sumitomo Corporation will form the NTW Joint Venture to manage their wholesale and retail operations. The aim is to ensure better availability and delivery services to their US and Mexican customers.